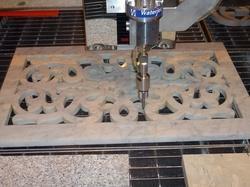 Our range of products include waterjet cutting services for gate and marble water jet cutting services. 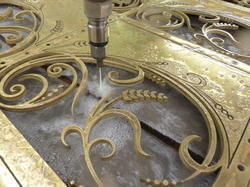 We are engaged in offering a comprehensive range of Water Jet gate/grill Cutting Services. In compliance with modern market norms, we are actively involved in rendering a wide spectrum of Waterjet gate/grill Cutting Services for our customers. Provided services rendered using premium quality cutting tools. Our staff members aid us to take cutting gate/grill in order to provide desirable shape and pattern. We are engaged in offering a comprehensive range of Water Jet Marble Cutting Services. In compliance with modern market norms, we are actively involved in rendering a wide spectrum of Waterjet Marble Cutting Services for our customers. Provided services rendered using premium quality cutting tools.Our staff members aid us to take cutting marble in order to provide desirable shape and pattern.